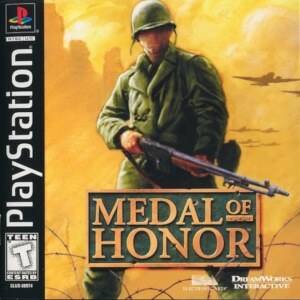 It’s hard to find a historically more significant, more influential Western game score than Michael Giacchino‘s Medal of Honor. Sure, the Medal of Honor soundtrack wasn’t the first orchestral game score to convincingly emulate movie scoring conventions. But there were a number of powerful factors that turned Medal of Honor into a force that changed the course of game music history – and it wasn’t just the fact that Giacchino’s work was married to an immensely successful game. First and foremost, there is the soundtrack’s sheer artistic quality. Its strongest predecessors in the genre of live orchestral game music – the FM Towns port of Wizardry V: Heart of the Maelstrom, Tengai Makyou: Fuun Kabuki Den, Total Annihilation, Star Trek: Starfleet Academy – had already delivered some outstanding music. However, the Medal of Honor soundtrack surpasses them all in terms of both breadth and consistent quality. What’s more, the score’s thematic sophistication set a new benchmark for live orchestral game music. Giacchino writes no less than three main themes that run through the entire score. He always uses these melodies judiciously and to further the music’s storytelling capabilities. On top of this, Giacchino introduces a new secondary motif on almost every track, builds the respective composition around this motif, and then masterfully weaves in the three major themes. Both Medal of Honor and Medal of Honor: Underground had made a point of treating World War II not as a fun shooting spree (well, mostly). Instead, they approached the subject matter with an unusual degree of seriousness and respect. Medal of Honor: Frontline went further still, basing its story line on a failed Allied offensive: Operation Market Garden. This allowed the game’s developers to aim for an even greater sense of gravitas, born out of defeat and tragedy. Medal of Honor series regular Michael Giacchino responded similarly to the game’s comparatively downbeat subject matter. For Giacchino, Frontline is the ideal opportunity to once more expand the Medal of Honor franchise’s emotional palette. The result is one of the most operatic, grand Western game soundtracks ever written. Where Frontline truly sets itself apart from previous Medal of Honor franchise scores is on its slower, downright elegiac compositions. These take the score’s theatricality to melodramatic heights that rival the game-music-as-opera surges of Heroes of Might and Magic II. “Arnhem” is one such piece, taken to emotional extremes by a full choir, to absolutely heart-rending effect. Based on a gently rocking, almost lullaby-like four-note motif, “Arnhem” is a stunning creation whose emotional impact is nearly overwhelming, climaxing in two massive choral outbursts. Patriotism had always featured in this franchise, but on “Arnhem”, it doesn’t come from a place of solemn pride. Instead, it is born out of sorrow and the desperate will to survive. 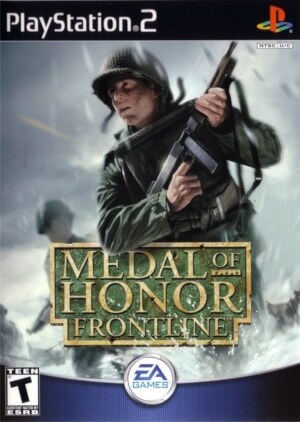 Medal of Honor strove hard to create a first-person shooter experience that left an impression on players beyond the mere satisfaction of shooting bad guys before they could shoot you. However, the fact that the game progressed the FPS genre in terms of subject matter wasn’t its most revolutionary aspect. Instead, that particular achievement would have been the wide-spread critical recognition of game music’s quality outside of the gaming community. Michael Giacchino‘s Medal of Honor score fashioned itself on John Williams’ action scoring of the late 1980s and early 1990s. Astonishingly, it matched the elevated standards that come with such role models. 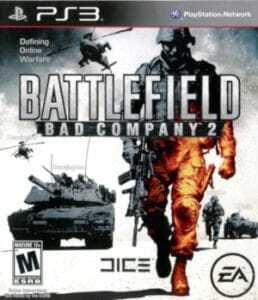 As a result, bloggers, film score collectors and music fans in general – many for the first time – took note of the music produced for a video game. Even more than Medal of Honor, Underground aims for historical authenticity (and thus reverence). Its main character Manon Baptiste is based on real-life French resistance fighter Hélène Deschamp Adams – who also served as a consultant on Underground. These efforts highlight the game designers’ increasing ambition to enrich action-driven gameplay through the retelling of one individual’s personal story. 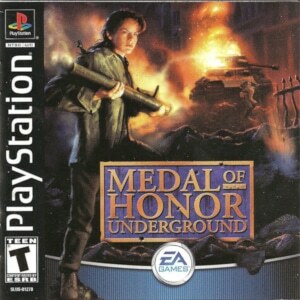 As a consequence, the Medal of Honor: Underground soundtrack shows greater interest than Medal of Honor in illuminating its protagonist’s psyche.